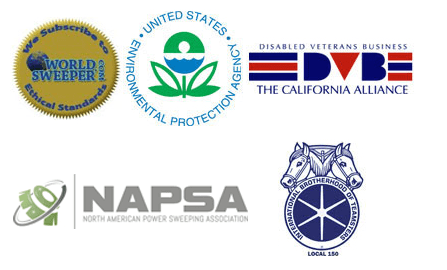 1-800-SWEEPER Partner Directory Wells Sweeping Co.
Wells Sweeping is a family owned company that has offered sweeping service throughout the Central California Valley and Bay area since 1979. Wells Sweeping provides a wide range of services from municipality sweeping and construction sweeping to routine parking lot sweeping, DPF retrofitting, smoke opacity testing, street sweeper sales and service with competitive rates, on call 24 hours a day, 7 days a week, 365 days a year. Our equipment is maintained in-house and is held to high operating standards, and with over thirty sweepers, we are equipped to handle any job. Our equipment is operated by owners of the company, with each job individually overseen by a managing member. We have the newest environmentally-friendly equipment that meets or exceeds all Federal, State, County, and City requirements. Construction Sweeping: Site Cleanup, Grading, Striping, all phases off construction sweeping. 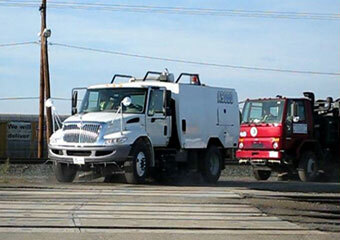 Commercial Contract Sweeping: Industrial/Commercial lots, loading docks, truck parts. Industrial Floor Scrubbing: Parking garages, warehouses, drive in cold storage, oil and spot cleaning; highly specialized ride-on scrubbing equipment. Parking Lot Maintenance: Retail centers, business parks, parking garages, porter service, window cleaning. Storefronts, sidewalks, parking lots, parking garages, awnings, signs, ramps, curbs; 3,600 lbs psi High Temperature. DPF Retrofitting: Diesel Particulate Filter Retrofitting. We are a certified dealer of Econix DPF products and are certified by the California Air Resources Board to install these units on diesel trucks and equipment.